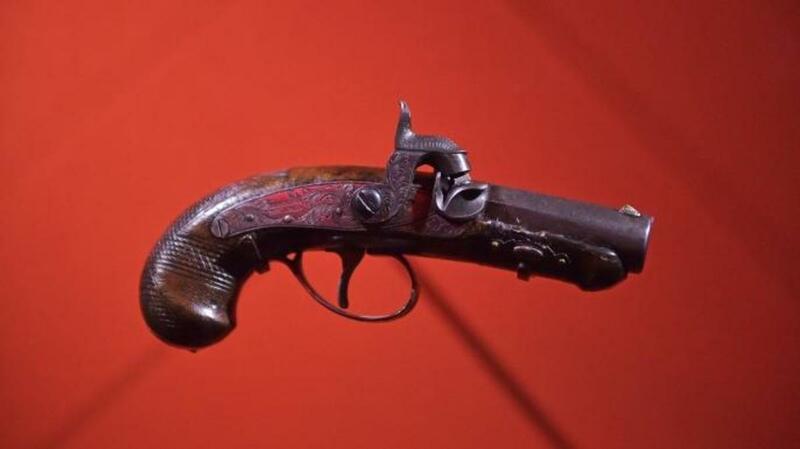 For a gun that had such a monumental impact on American history, the weapon fired by John Wilkes Booth is surprisingly diminutive. Fashioned from brass, the derringer pistol weighs barely 8 ounces. 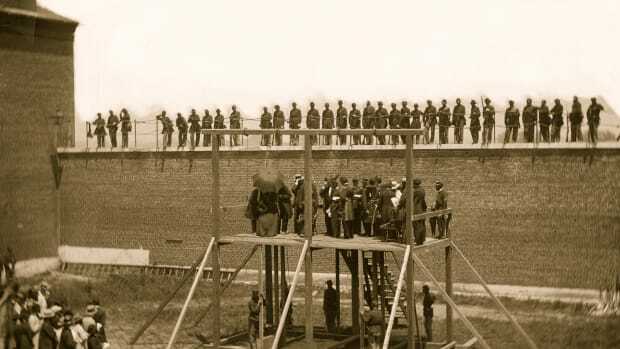 The gun, which discharged a single .44-caliber lead ball, was easily concealed by Booth but accurate only at close range. Since he had only a single shot as ammunition, Booth had only one chance to kill the president. The pistol is on standing display in Washington, D.C., at Ford’s Theatre, but through May 29, 2015, it is part of the theater’s special exhibition, “Silent Witnesses: Artifacts of the Lincoln Assassination,” which also includes items on loan from the Smithsonian Institution, including the custom-made Brooks Brothers overcoat and iconic stovepipe hat that Lincoln wore the night of the murder. Also part of the exhibition are the contents of Lincoln’s pockets the night of the assassination, which included a linen handkerchief, two pairs of glasses, a pocketknife and a $5 Confederate note that he likely received days earlier when touring the fallen Confederate capital of Richmond. 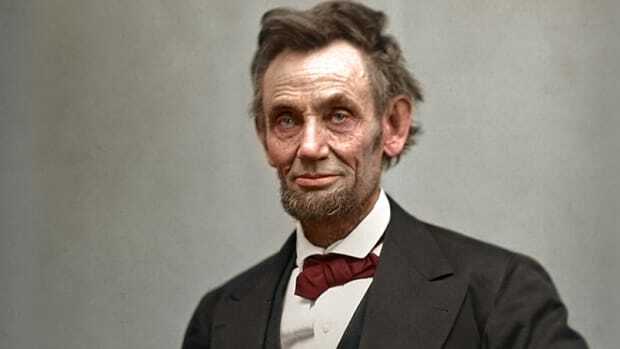 The lead ball that entered below Lincoln’s left ear and lodged behind his right eye was recovered by Dr. Edward Curtis during an autopsy performed in a White House guest room. As the surgeon removed the president’s brain from his skull, the lead ball clattered into an empty white china basin. Curtis described it as “a little black mass no bigger than the end of my finger—dull, motionless and harmless, yet the cause of such mighty changes in the world’s history as we may perhaps never realize.” Today, the bullet is on display at the National Museum of Health and Medicine in Silver Spring, Maryland, along with fragments of Lincoln’s skull and Curtis’s sleeve cuffs stained with the president’s blood. 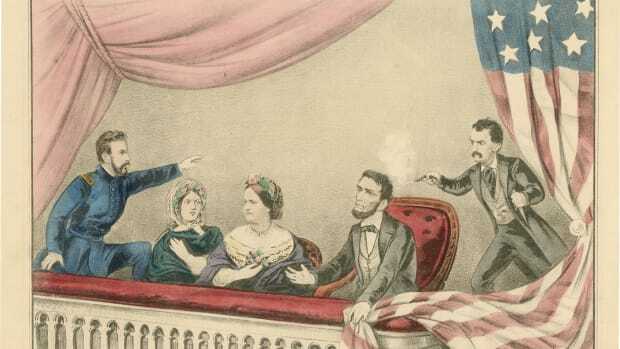 After the shooting at Ford’s Theatre, Lincoln was carried across the street and placed on a bed in the back room of William Petersen’s boardinghouse. The lanky president couldn’t fit on the bed, so he had to be laid diagonally across it. 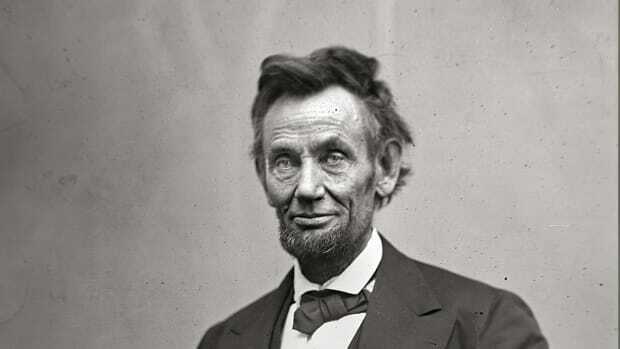 Lincoln died in the bed at 7:22 a.m. on April 15, 1865. 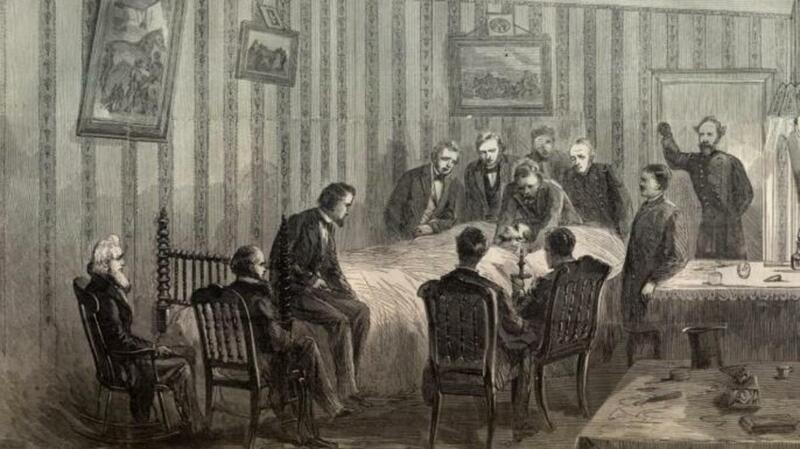 The president’s deathbed is part of the collection of the Chicago History Museum, but through February 2016 it is on loan for an exhibition at the Abraham Lincoln Presidential Library and Museum in Springfield, Illinois. 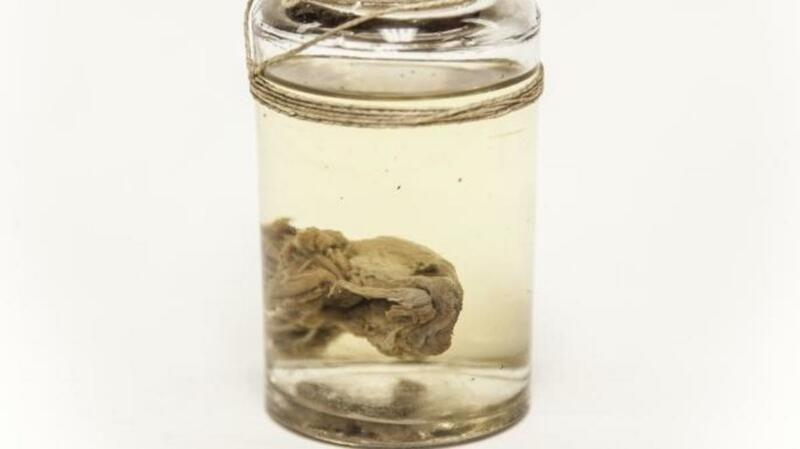 Among the quirky curiosities in the eclectic collection of Philadelphia’s Mütter Museum are President Grover Cleveland’s jaw tumor, Albert Einstein’s brain and a specimen from Booth’s body. 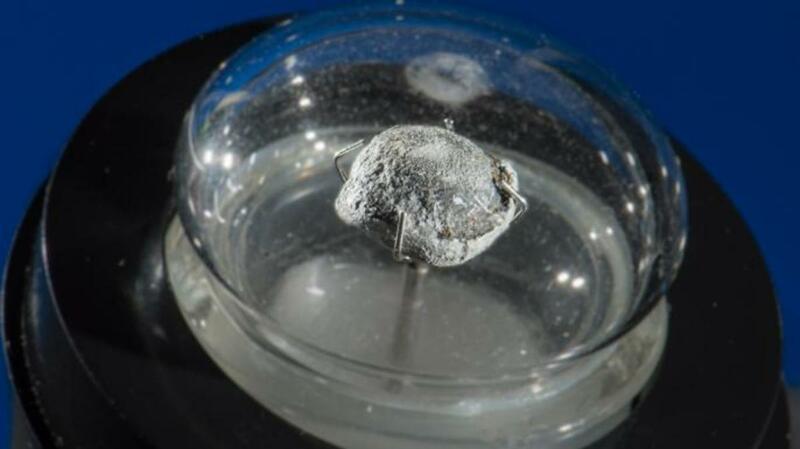 The fragment, floating in a glass jar, was taken from Booth’s corpse during an autopsy conducted on the assassin aboard the ironclad USS Montauk docked at the Washington Navy Yard. A label on the jar says the specimen is from Booth’s thorax, although there is speculation it could be a piece of his vertebra. 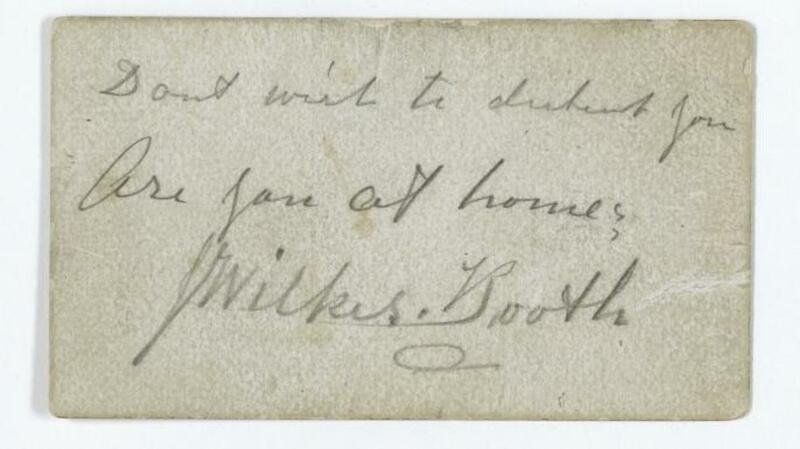 Hours before the assassination, Booth visited the Kirkwood House hotel where Vice President Andrew Johnson resided and scribbled on a calling card: “Don’t wish to disturb you. Are you at home? 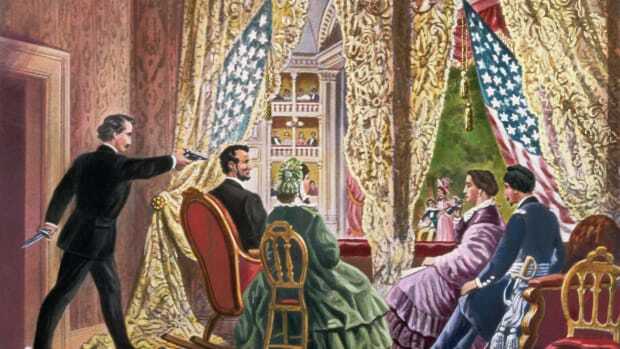 J. Wilkes Booth.” Historians have long debated as to why Booth mysteriously left the note for the vice president, who was also targeted for assassination that night by a co-conspirator of Booth’s who ultimately lost his nerve. The card is in the collection of the U.S. National Archives. 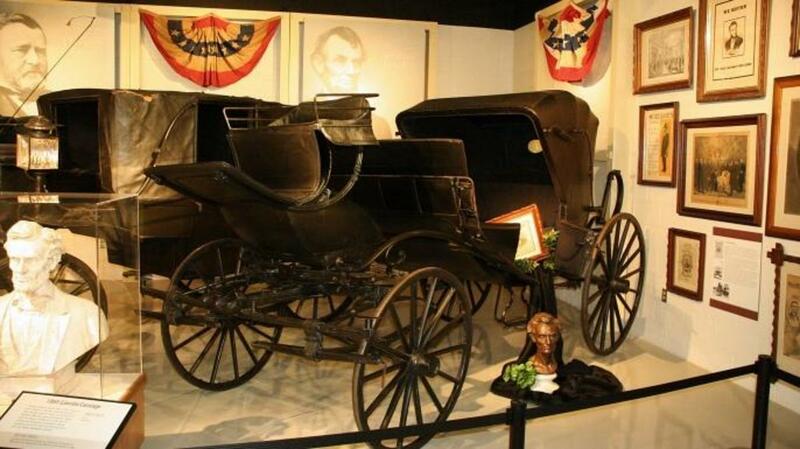 The Lincolns and their guests, Henry Rathbone and Clara Harris, arrived at Ford’s Theatre in an open carriage that was believed to have been gifted to the president in late 1864. 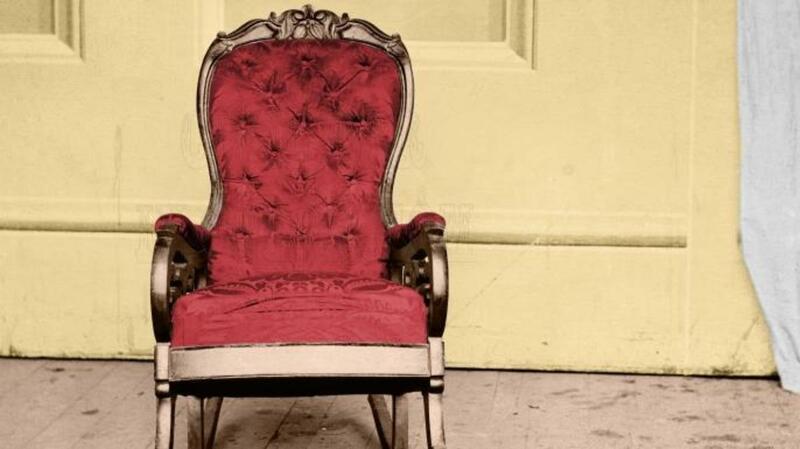 Robert Todd Lincoln inherited the vehicle after his father’s death and later sold it to a New York doctor who used it to make house calls. Wagon and carriage manufacturer Clement Studebaker purchased it in 1889. The vehicle is part of the presidential carriage collection of the Studebaker National Museum in South Bend, Indiana. It is on temporary display at the Smithsonian Institution’s National Museum of American History in Washington, D.C., through May 29, 2015. 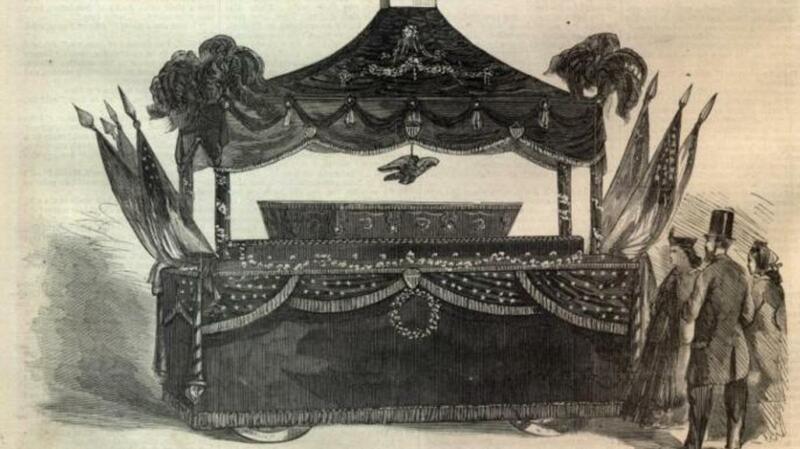 To prepare for Lincoln’s body to lie in state beneath the rotunda of the U.S. Capitol, workers hastily constructed a catafalque of rough pine boards on which to support the casket. 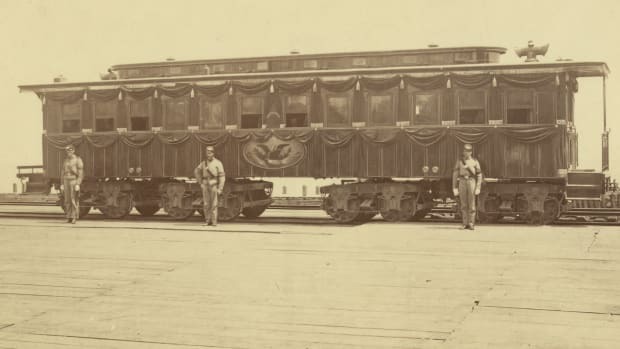 Since 1865 the same platform, covered in black cloth, has been used for all those who have lain in the state in the Capitol Rotunda, including the three other slain American presidents—James A. Garfield, William McKinley and John F. Kennedy. The catafalque, which has also been used in the Supreme Court building to honor deceased justices, resides in a specially constructed display in the Capitol Visitor Center.